Department of Zoology, Veerashaiva College, Ballari. 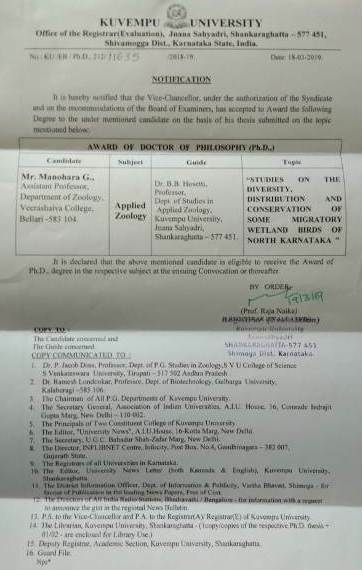 Shri G.Manohar has been awarded Doctoral degree from Kuvempu University, Shankaraghatta, Shivamogga. 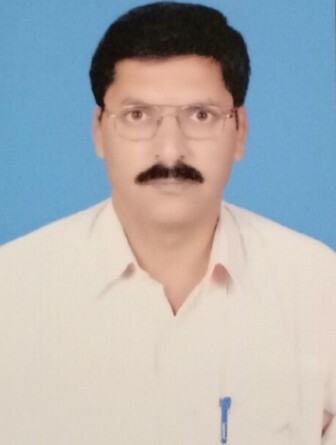 He has worked under the guidance of Dr.B.B.Hosetti, Professor, Department of Studies in Applied Zoology, Kuvempu University, Shankaraghatta, on the topic "Studies on the diversity, distribution and conservation of some migratory wetland birds of North Karnataka". Shri Gonal Rajashekhar Goud, Chairman, Shri H N Kotresh & Shri Halakundi Satish Kumar, C.G.C. Members, Dr.G.Rajashekhar, Principal, Teaching and Non-Teaching Staff congratulated Shri G Manohar for having honoured with ‘Doctorate Award’.